Washington state has experienced heavy rainfall this year, increasing our risk for floods, landslides and mudslides this spring. Governor Inslee proclaimed a state of emergency in nearly two dozen counties on both sides of the state, where there have been storms, slides and floods in the past two months. A 20 million-pound rock slab came loose from a hillside along SR 503 east of Woodland, causing a slide that closed the highway on March 13. Photo courtesy of WSDOT. While the above- average snowpack from this winter is good for the upcoming wildfire season, it could mean an increased risk of flooding in low-lying areas, and areas with slopes may experience increased soil instability. The risk is higher in areas that were hit hard by past summers� wildland fires, leaving less trees and vegetation to stop land movement. Damage to your home from floods, landslides, and mudslides may not be covered under a standard homeowner�s policy. Review your insurance policy to make sure you have the right amount of coverage. Contact your insurance agent if you have questions about your policy or the availability of supplemental insurance coverage that will cover those events. Many agents and brokers offer flood insurance policies available through the National Flood Insurance Program (NFIP), which offers protection against flood hazards for homeowners, business owners, condo owners and renters. Landslides are not covered by flood insurance. You will need what�s called a �difference in conditions policy� to be covered for a landslide. You can ask your agent or broker about purchasing a difference in conditions policy. 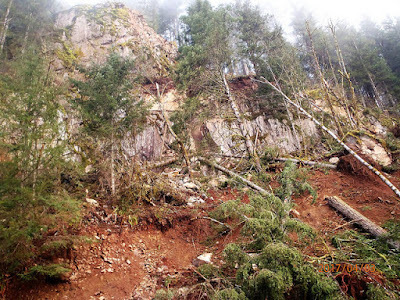 Read more about landslide insurance. The average residential flood claim in 2015 was $39,184, while the average flood insurance policy premium was $663 per year, according to the Insurance Information Institute. Check to see if your community participates in NFIP. Typically, there is a 30-day waiting period before your flood insurance policy takes effect. The Insurance Commissioner�s website has information for consumers about floods and homeowner�s insurance, including things you should talk to your insurance agent about and tips for protecting your home and belongings. We also have tips for filing a claim after a natural disaster and how to find disaster resources.